Update: Wealden District Council are seeking an order to overturn the Planning Inspector’s decision. It is the first step towards seeking a Judicial Review. 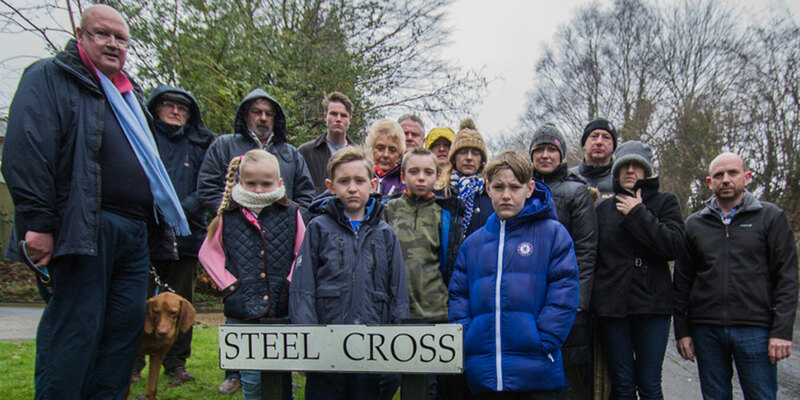 Many people have been justifiably disappointed with the outcome of the Steel Cross housing site appeal in Crowborough. The Planning Inspector’s decision grants planning permission in an Area of Outstanding Natural Beauty, and the house numbers exceed any development targets set out in our adopted and sound Core Strategy Local Plan. The Council will be robustly challenging the Planning Inspector’s decision, and taking it to the High Court if necessary. As a forward-thinking Council, we appreciate the need to allocate land in appropriate areas for housing growth This should be undertaken in a planned and sustainable way that does not impact upon our environment and not be wholly developer led. A controversial plan to build 103 homes in Crowborough has been given the green light by a Planning Inspector after an appeal by the developers. The new housing will be built on land between Palesgate Lane and the Rugby Club and is within the High Wealden AONB (Areas of Outstanding Natural Beauty). A new T-junction will be constructed on Green Lane to allow cars to access the development and Palesgate Lane. 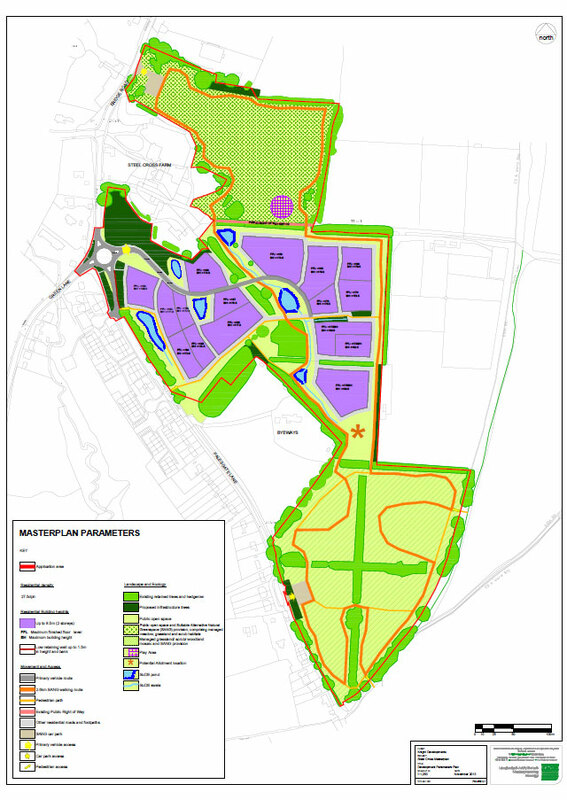 Wealden District Council had previously refused the planning application on 7 grounds, including impact on the landscape and increase vehicle movements, but Knight Developments Ltd from Essex appealed. Developers said the 103 houses, including 42 affordable homes, would help meet the need for local housing and the adjacent recreation area would protect the Ashdown Forest. After a public inquiry earlier this year, it has been announced today that the Planning Inspector, David Nicholson, has given the go-ahead for the development. Last year Councillors on the planning committee refused the application primarily because the development falls on the edge of the High Weald, but also because of concerns about access to the site from Green Lane for cars. We are surprised at the decision and are considering how we should respond. We are extremely concerned about the effect the Inspector’s decision would have on the Ashdown Forest habitat. Only last week Wealden District Council scrapped a 7km protection zone around the Ashdown Forest as a result of successful legal action by a group of landowners in the High Court. The Campaign for Rural England, Natural England and the Area of Outstanding Natural Beauty (AONB) Unit had all objected to the application on grounds the semi-rural environment of horse grazed fields and hedgerows would be urbanised. I am shocked but not surprised! The inspector lives the other side of London. What does he care about our local community. I guess he has made his decision entirely on the mind boggling nonsense regarding Nitrogen and the Ashdown Forest and the fact that Wealden’s Plan has now been scrapped. Who cares about the local residents opinions! Just get them housing numbers up to please the Politicians! 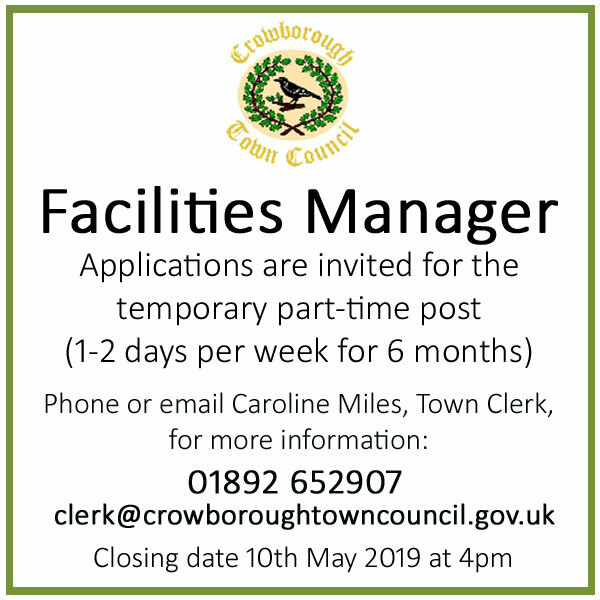 Local planning consultants ASP Planning based at Crowborough Cross have been acting on behalf of the developers. When the application was originally submitted in 2013 a dedicated website was created to inform the public about what was being proposed: www.breathing-spaces-crowborough.org.uk. An area of green space next to the housing development will be opened up to the public for recreational use, the land will be landscaped and footpaths and a play area constructed. It is hope the SANGS (Alternative Natural Green Space) will deter people driving to the Ashdown Forest causing extra pollution damaging the rare heathland. You can see the full planning application and appeal documentation on the Wealden District Council website (Ref: WD/2013/2410/MEA): www.planning.wealden.gov.uk. What do you think about the houses being built at Steel Cross in Crowborough? Do we need the homes enough for young families to sacrifice the land? Or is the High Weald sacrosanct? Add your comments below or join in the conversation on Facebook. Makes me smile hearing or reading ‘the need for local housing’ implying that we have queues of people outside the doors of every estate agent when actually, there’s more queuing outside the local food bank. GREAT NEWS!! yes – my family and I WILL be queuing up to get an affordable home ”BACK IN OUR HOME TOWN” – pushed out because of unaffordable rental prices and house prices/limited availability. This is such great news! For those who object -get over it – my family were some of the original settlers in Crowborough – did they object to you new comers?? To the increased size of the town?? Nope. If developments like this don’t start happening asap families like mine will end up living in the woods whilst you opinionated thoughtless bunch, sit nice and cosy in your owned homes not having to worry about where you will end up again in 6 months after your unaffordable tenancies expire. Rather late in the day, I’d like to support Amanda. Crowborough has been turning into a middle class ghetto for years. The minute anyone mentions ‘affordable housing’, or worse, ‘social housing’, there is a collective apoplexy, the assumption being that low-life underclass will move in next door and murder us in our beds. 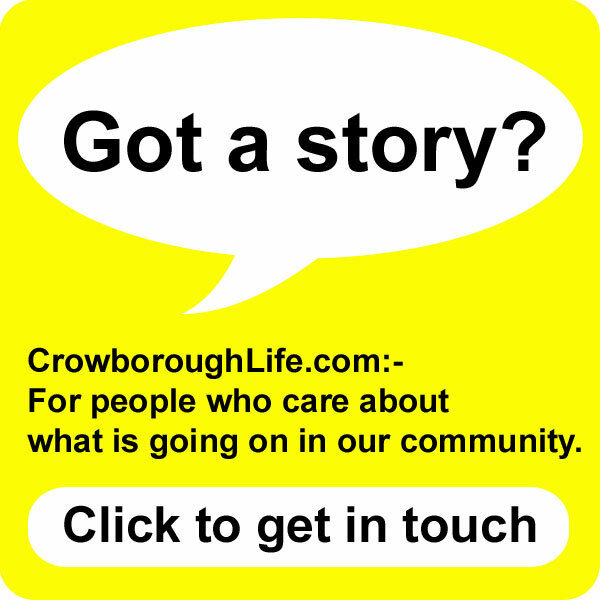 Crowborough is not a healthy housing mix, any recent development being large ‘executive’ housing or apartments. There’s been far too much garden grabbing, and any opportunity for modest terraces or semis for first time buyers is lost when yet another mansion for poshos loses the space for generations. As for the private rental market, it is out of control as bad landlords (not all are Rachmans though) line their pockets ‘for their pensions’ and create a greater precariat, that does society no good at all. It is high time (and it’ll never happen under this government) that someone took things in hand and stopped emasculating local councils so that they can build social housing for those who have no chance of buying, with proper oversight as to standards and length of tenancy. 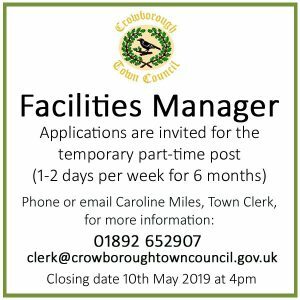 Crowborough is stuffed with people in large houses who pay an unrealistic council tax because governments have not had the courage to update it. We could start there.